3 of the 2585 sweeping interview questions in this book, revealed: Behavior question: How do you know whether its better to lay out very specifically what others have to do – versus allowing them to use their own initiative and creativity? – Initiative question: How did you get work assignments at your most recent employer? – Listening question: What do you do when you think someone is not listening to you? 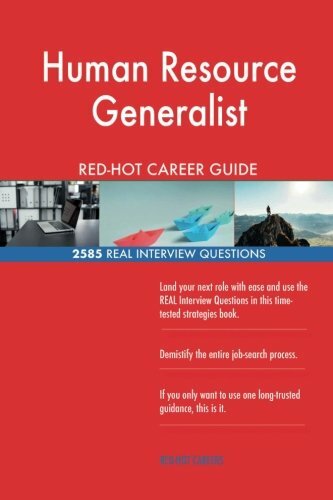 Land your next Human Resource Generalist role with ease and use the 2585 REAL Interview Questions in this time-tested book to demystify the entire job-search process. If you only want to use one long-trusted guidance, this is it. Pick up this book today to rock the interview and get your dream Human Resource Generalist Job.